What Is the Most Effective Form of Vitamin C in a Serum? Are Vitamin C Derivative Serums Better than L-Ascorbic Acid Serums? If you are here looking for the best vitamin c serum for face reviews, I guess you already know how many rich anti aging benefits an effective vitamin C serum can give you. The problem is that with so many vitamin C serums out there often times promising skin miracles, you can really feel overwhelmed and unable to make the right choice for your skin’s needs. Especially if you want to find a vitamin C serum that is good for a specific skin condition you want to deal with such as acne and dark circles under eyes or you just need the most effective vitamin C serum for anti-aging purposes and other skin improvement changes such as a brighter or more even skin, then it is important to know more about how to choose the best option of vitamin C serum and what to avoid if you have a sensitive skin. So, in order to help you make a more informed choice, here’s our best vitamin C serum guide with the most important things you need to know before purchasing the right product for your skin type as well as skin’s needs or condition. With so many vitamin C serums available in the market today, you may find it difficult to make an easy decision. After trying out some serums that met our criteria for a good quality serum in the first place, we selected to review a range of vitamin C serum brands that have proven to offer good results. This is a professional grade anti aging and moisturizing serum which contains a high grade of vitamin C. According to Serumtologie, most of the common strength serums can contain even up to 10-45% less vitamin C than their serum. Another great advantage the company sees in Serumtologie Vitamin C Serum is that while some vitamin C products can become very quickly inactive by the time they are applied on the skin, Sodium Ascorbyl Prosphate contained in Serumtologie serum, guarantees intact potency of the product and no irritation which can be possible with overuse of L-Ascorbic Acid on sensitive types of skin. Highly concentrated and effective bio active 22% vitamin C serum. Powerful combination of antioxidants and collagen boosters such as 22% natural vitamin C, 5% Hyaluronic acid, 1% vitamin E as well as 15% Ferulic acid. 100% Vegan product, containing the finest natural and organic ingredients. Free of Parabens, Sulfates, Synthetic Dyes, Phthalates, Petrochemicals, Aromas and GMO’s. Serumtologie.com is given a doctor trusted certificate. Unconditional 100% money back guarantee. 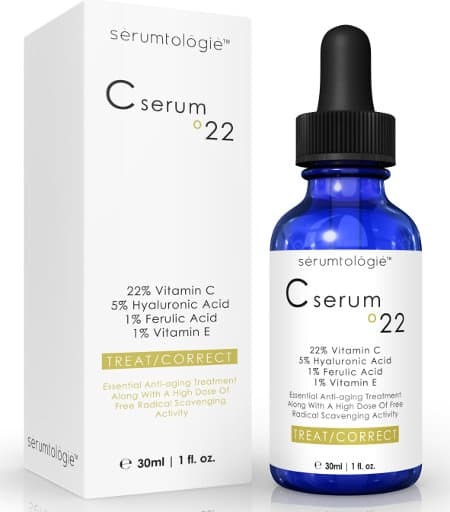 What Do Serumtologie Vitamin C Serum Reviews Say? The majority of people seem overwhelmingly pleased with the effectiveness of this serum and the way it has changed their complexion to the better, which for some comes even after some hours of the first application. It is also worthwhile mentioning that this vitamin C booster serum is often recommended by aestheticians to both women and men for good anti aging results. Great for fine lines and wrinkles– Great results have been achieved relating to the reduction of wrinkles and in some cases even elimination of fine lines in a matter of some hours. Still, for the majority of users it takes some time of daily use till they get more visible solutions. Hydrated and smooth complexion– Even people with dry skin have experienced a more hydrated and smooth complexion. There are also comments saying that while other serums have caused dryness and tightness, this one has actually helped with dry skin and given them a feeling of adequate moisturization and softness. Oily skin moisturizer– People with oily skin have mentioned that it works very well for them as a moisturizer on its own, having the ability to reduce the size of their pores. Glowing skin– Some women have said that their skin has become glowing after using this vitamin C product, often leading them not even to put on makeup. For others, this product works fine as a primer and moisturizer at the same time. Affordable luxury serum– There were many users commenting on how glad they were with such an affordable price for a serum that is so effective and of such a high quality. A comment that I don’t usually see in people’s reviews was that there were users advising other users to order quickly because this product sells really fast or even buy more than one bottle so that they don’t need to reorder so soon although according to most of them, one bottle lasts long since the product is concentrated and you will only need but few drops for each use. Obagi Vitamin C Serum contains the most potent form of vitamin C which is L-Ascorbic Acid and is well known among skin specialists as well as common users for their effectiveness. The version I am including in this review contains 10% Ascorbic Acid but there are stronger antioxidant versions of 15% and 20%. The company recommends the 10% version for sensitive, dry and irritated skin since it is more gentle while the 20% is suitable for normal to oily skin. While most vitamin C serums I have tried are odorless, Obagi Vit-C serum contains fragrance which most people love but there are also few that are not so fond of. The full list of ingredients is as follows: propylene glycol, water, propylene carbonate, ascorbic acid, fragrance. Concentrated formula with 10% L-Ascorbic Acid, the most potent form of vitamin C.
Brightens the skin and helps retain moisture. What do Obagi Vitamin C Serum Reviews Say? There are users that have been using Obagi Vitamin C serum for years and swear by it while there are also a few others that find its price too expensive. I would say that it is worthwhile trying out a more expensive product and compare its effectiveness with cheaper versions. In the end, you might find such product a real skin savior so you might end up replacing other products which you are not so pleased about with one that really works. Still, you have the option of trying out the cheapest version of Obagi serum first which is the one I have here with the 10% vitamin C.
So, let’s see what users talk about when it comes to this serum’s benefits for their skin. Brightens and Clears Complexion- Users are really glad about the healthy glow their skin gets after using this product. It really brightens their complexion and makes it more clear since it seems to get rid of dead skin cells. According to some users, most Obagi products have the ability to remove dead skin cells. Smooths fine lines- A lot of users have noticed less visible fine lines including forehead lines, which makes their skin look younger. Cleans up Brown Spots- One of the main reasons I use vitamin C serums is for those brown spots that are also called Sun spots or aging spots. Oh.. well changes are a part of life but still who wouldn’t like to be able to reverse some of those changes? 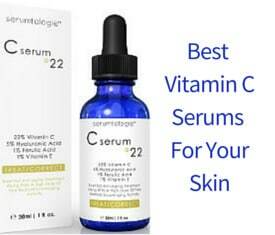 Vitamin C serums and especially potent ones are able to get rid of brown spots faster. Evens skin tone- Evening of the skin tone is another advantage people experience when using this product. Repairs damaged skin- Vitamin C is an antioxidant that is skin repairing and revitalizing and therefore its most potent form which is included in this product helps, according to users, repair damaged skin. It also makes skin feel moisturized. 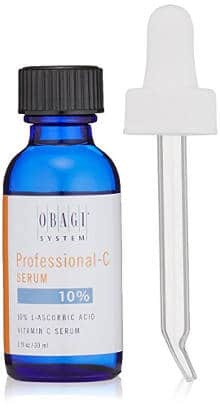 Finally, one more thing that some users agree upon is that, according to their opinion, the genuine Obagi Vitamin C serum tingles a bit when you apply it on the skin but this feeling goes away quickly. OZ Naturals Vitamin C Serum was the first vitamin C serum I have ever tried. The truth is that while I was using it, I gradually experienced a reduction on my hand age spots including some other benefits such as a more even skin tone as well as a more clear, moisturized and younger looking skin. According to my experience, this serum goes on smoothly and although it is orangy, it absorbs fast without staining clothes or anything. The company reports that one can see results even after the first use but your should need at least 30 days for better and more advanced benefits. This is a potent 20% natural and organic vitamin C serum which combines other effective ingredients such as vegan hyaluronic acid and a blend of amino acids to nourish the skin, minimize fine lines and wrinkles, improve skin texture, reduce sun damage and do a number of other things that users enjoy and we can see further on in this review. 98% natural ingredients and 72% Organic. Main ingredients are Vitamins C, Vegan hyaluronic acid, blend of amino acids and organic jojoba oil. Allure Magazine’s best in Beauty vitamin C serum. Free of parabens, alcohol or sulfates. The majority of people using this collagen serum are very satisfied with its effectiveness. Looking at few users reviews who commented of not getting the results they had expected, I would say that some of them were not explanatory enough relating to their expectations and to the results they experienced so that a safer conclusion could be drawn. Additionally, when using a vitamin C serum, people should always be careful not to leave the bottle open and keep it away from the light because its potency can be very quickly affected if not stored in the right way. Also, in any product it is very rare to see 100% positive reviews for many reasons but that way I think that you can get a more realistic view of the product. Tighter and more youthful skin appearance– A lot of users have commented how much better their skin looks as well as more tight and elastic. Diminished fine lines and wrinkles– By inducing collagen, wrinkles get reduced and fine lines even disappear in certain cases. Improved skin texture– A more even and softer skin texture is also reported by people using this serum for some time. Works for sun damaged skin and hyperpigmentation– Antioxidant vitamin C guarantees improvement for sun damaged skin and good results for hyperpigmentation. Glowing skin– Its light exfoliating properties can make your complexion look bright. The light exfoliation is also a factor that this serum works well with acne prone skin since it is light and doesn’t seem to clog the pores. Makes your moisturizer work better– Some people have mentioned that their moisturizer gets absorbed better after the use of Oz Naturals Vitamin C serum. According to the company’s information when vitamin C is combined with hyaluronic acid, it helps in a deeper penetration into the skin. TruSkin Naturals is a skincare company based in the USA, that uses only the finest natural and/or organic ingredients in their products. According to them, their company only uses ingredients that have been clinically tested and proven to be effective. 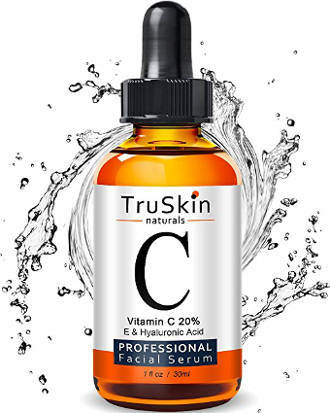 TruSkin Naturals Vitamin C Serum is just one of the fine products that this company’s manufacturers create to help you have younger and healthier skin. Anti-aging formula that fades sun spots, age spots, improves skin tone and clears acne and more. Certified free of parabens, GMOs, phthalates, sodium lauryl sulfates, mineral oil, petrolatum, fragrances and artificial colors. Properly pH balanced for your safety. 3 months 100% money back guarantee. Sodium Ascorbyl Phosphate (Vitamin C) Vegan Botanical Hyaluronic Acid, Organic Aloe Vera, Vitamin E, Organic Witch Hazel, MSM, Organic Jojoba Oil, Organic Gotu Kola, Organic Geranium. Glowing Skin– Users report that their skin has never looked brighter or more healthy than it has since using this serum. Reduces Fine Lines and Wrinkles– A majority of people actually stated that they could see a reduction in the fine lines and wrinkles on their face within a few days or weeks of use. Fading of Brown spots– Several users have also experienced the fading of brown spots on their face and even other parts of their body. Firms– It firms skin, making it feel tighter and even more youthful. The truth is that even though I ordered this serum in the first place to try it out based on the fact that this company creates good quality natural skin care products, I gave it away, but still I have chosen to include it in this review due to its quality natural ingredients, good reputation of the company as well as great user reviews. 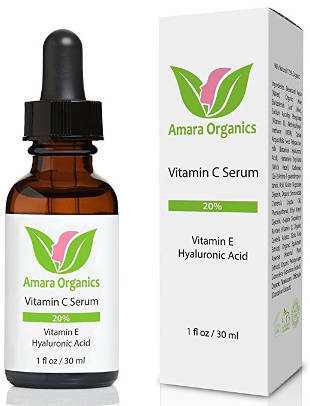 Amara Organics Vitamin C Serum contains 20% of a stable form of vitamin C which is Sodium Ascorbyl Phosphate. It also has botanical hyaluronic acid, Witch Hazel, which is good or congested skin pores, vitamin E, aloe era, MSM, jojoba oil and others. 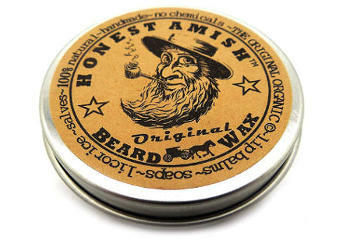 No harsh chemicals, artificial colors or fragrances included. Cruelty free product made in the USA. Goes on smooth and this I can verify as well by trying it out just once. Users are overwhelmingly pleased with the benefits this serum provides their skin with and also love its affordable price. Let’s have a specific look at what they really like about it. Brightens skin- Vitamin C serums are good for brightening the skin and users say that this product results in brighter as well as clearer skin. Lightweight serum- People like its thin consistency and the fact that it absorbs quick without leaving behind any residue and without making their skin feel suffocated. I can also say that I was pleased with the degree of absorption after trying it out once. Smooths Skin- A number of users agree that it makes skin smoother and softer. Good for age spots- People experience positive results when it comes to getting rid of sun or age spots. Hydrating and not irritating- It boosts hydration and does not irritate skin according to user reviews. I also have noticed no irritation. Recently I have bumped up into Kleems Organics Vitamin C Serum which has been very popular among users lately, so I thought to help out a little bit here with a short review. It contains 20% of Vitamin C (Sodium Ascorbyl Phosphate), 10% of Hyaluronic acid, vitamin E as well as Ferulic Acid, Arginine and some other natural and organic ingredients such as jojoba oil, aloe vera, Gotu Kola extract and others. The company suggests that their serum minimizes fine lines and wrinkles, discolorations, age spots, freckles, pores size and acne. It also improves skin tone and texture, damaged skin and brightens up dull skin. It regenerates complexion and is particularly helpful for cases of skin with blotches, scars and sagging. Kleem Organics claim that this is a stable vitamin C serum that causes no stinging or burning sensation. It contains no fillers or preservatives, only natural and organic ingredients. Packaged in an airless bottle with a handy pump dispenser to preserve effectiveness. 100% money back guarantee and a free beauty eBook. Some people might not like the citrus fragrance that this serum has for use on their face. A few users like its consistency which is more like a liquidy lotion and others prefer the usual serum consistency. With so many reviews, you could say that it is normal to read both negative and positive reviews although the positive ones by far exceed the negative ones. People experience good results in a number of skin issues such as fine lines, discolorations, dullness and even acne. On the other hand, few people have not liked its thicker kind of consistency, which according to them makes it less easy for the product to absorb, or the citrus smell. There are people who are faithful fans of this serum despite the large number of vitamin C serums available on the market today. VoilaVe Vitamin C serum is quite unique in the sense that it contains 3 forms of vitamin C and is contained in a bottle with three layers of protection which has an advanced premium pump. As the previous collagen serums presented before, this one is also backed by a full refund policy. Contains 3 forms of vitamin C for better results. Pure and undiluted contents that are free of fillers, parabens and alcohol. Vitamin C with hyaluronic acid formula that is easily absorbed and doesn’t clog pores. Advanced bottle which serves for better protection of the vitamins and a more convenient application. Free guide and instructions on how to use the product. 365 day full money back guarantee. What are VoilaVe Vitamin C Serum Reviews All About? People seem very satisfied with the effectiveness of it in a number of different skin conditions. Most of them have also commented that this serum exceeds other vitamin C serums not only in terms of drying fast and leaving no stickiness but in causing no itchiness or rashes as well. They also love the fact that it doesn’t have a smell. So, let’s see what are the benefits users have been enjoying. Quick results– There were lots of users who have seen positive results even overnight. Reducing fine lines– Less fine lines around eyes and mouth and more softened wrinkles were also reported. Great at moisturizing– Some people have used it on its own as a day moisturizer and have felt that it has kept their skin adequately hydrated. There was one woman who used it even on her dry hands and she was thrilled with the outcome. Good with acne, smaller pores– Dead skin cells seem to come off easier by using this serum and there are people with acne who have benefited by its exfoliating and antioxidant properties. It has also been reported to help minimize pores. Tighter and more youthful skin– With the boosting power of vitamin C combined with hyaluronic acid, a more youthful and rejuvenated complexion has been experienced. Improved texture– A more even and soft skin comes also as a result of using this facial vitamin C serum. There was even one user who was surprised to see that this product helped her get rid of few bumps which she used to have on her skin for long. Nice healthy glow– Because of the exfoliating as well as antioxidant qualities of this product, lots of people have seen a nice glow appearing on their face. Reduction in age spots, discoloration or freckles– There was positive feedback shared relating to the reduction of discoloration and age spots with one woman also mentioning about the good results she had with her freckles appearance. Great pump and bottle-The pump lid prevents the contents from spilling. You just pump it into your hands and get the perfect amount. A little of this product will also be enough for your skin’s needs. Vitamin C, and specifically vitamin C at its purest form which is Ascorbic acid, is a water-soluble vitamin that has proven to be effective for a number of skin issues and conditions. As an effective antioxidant, vitamin C neutralizes the free radicals that are responsible for aging and protects from oxidative stress. Boosts the production of collagen and elastin, which makes the skin appear more elastic, plump and hydrated with less visible wrinkles. Prevents moisture loss, a factor that helps skin stay youthful and prevents premature skin aging. Improves micro-circulation and activates the skin´s natural mechanisms of repair, which is good for dealing with a number of skin healing issues such as acne scars, skin burns or sun damaged skin. Serves as a tyrosinase inhibitor, the main enzyme involved in melanin production and by doing so, it reduces skin discoloration, sun spots and aging spots. Improves the texture and tone of the skin, making it bright and healthy looking. Vitamin C has been proven to protect the skin against UVA and UVB sun rays. This does not mean that it can replace your sunscreen, but it can surely boost your sun protection if used before applying the sunscreen. Increases the levels of metalloproteinase inhibitors, enzymes that are responsible for collagen breakdown. Increases the thickness of the epidermis, making it more resistant to skin threats. If you want to buy a vitamin C serum that is effective enough to provide you with visible anti-aging results, you may have already noticed that there are too many vitamin C serums available in the market today which all promise the same things one way or another. So, how can you know what is the most effective vitamin C serum? There are various factors, but in this section, we will talk about the most effective form of vitamin C which is L-Ascorbic Acid or Ascorbic Acid. Ascorbic Acid is vitamin C at its pure form and has been well known for being the most powerful and active form of Vitamin C.
This does not mean that other forms of Vitamin C won´t be effective enough for your specific skin needs or concerns. Also, while Ascorbic Acid is believed to be the most active form of vitamin C, it has its drawbacks too, as we will see later on in this article, since it oxidizes faster than other forms of vitamin C and it may cause irritation to sensitive skin. So, how can you know if a serum contains Ascorbic Acid or any other form of vitamin C? Simply, look for the form of vitamin C that is used in the product you are interested in buying. Any reputable company should mention the form of vitamin C that is used in their serum whether it is Ascorbic Acid or any other vitamin C derivative. There is no clear answer to this question, simply because there are advantages and disadvantages in both vitamin C derivative serums and Ascorbic Acid serums, and it will all depend on a number of different factors including your skin type and skin issue you want the serum to be effective for. Let me explain a bit more. L-ascorbic acid is mainly used on its own (meaning that it is not combined with other active ingredients) and at high concentrations as intensive anti-aging treatment. Nevertheless, due to its instability as an ingredient as well as high cost, most companies prefer to use vitamin C derivatives in their vitamin C serum formulas. The pros of these derivatives are that they are more stable than the pure form of vitamin C and can be effective at the same time. Also, it is less possible that they will trigger irritation to the skin and especially sensitive skin when compared to Ascorbic Acid. In addition, vitamin C derivative serums are more likely to contain other effective anti-aging and skin beneficial ingredients such as vitamin E, Ferulic Acid, Hyaluronic Acid and more, which will offer synergistic benefits to your skin. Magnesium Ascorbyl Phosphate ( MAP). Finally, keep in mind that even the more stable forms of vitamin C, as the ones above, will still break down if they are regularly exposed to the light and air. Their main advantage is that they don´t oxidize as fast as Ascorbic Acid form of vitamin C.
Make skin more elastic and firm due to the boosting of collagen creation. Even out skin tone and make skin brighter. Reduce discoloration and lighten sun spots and age spots. Provide protection against sun damage. Reduce acne breakouts and minimize oily skin. Promote natural healing of acne scars and sunburn. Make skin more resistant to air pollution and other agents causing inflammation. Vitamin C is the most unstable of all vitamins. It is sensitive to light, heat, air and humidity, and gets very easily oxidized to biologically non-active elements, which results in limited absorption by the epidermis as well as some negative effects such as skin irritation. Especially the pure form of vitamin C, which is Ascorbic Acid, is the most sensitive form of vitamin C and oxidizes faster than the derivatives of vitamin C. Degradation of vitamin C serum will not happen instantly with the final signs of degradation appearing as change in the colour (more brown or yellowy) and even leaving stains on your clothes or towels. An oxidized product will stop being effective and can even be damaging to the skin, causing irritation. Also, although vitamin C serums with ascorbic acid are the most effective, they may be drying to the skin. In addition, some people may be allergic to vitamin C, so in their case, even a topical application of a vitamin C product should be avoided. Although it´s a fact that vitamin C is an unstable vitamin, there are still some things you can do to extend the shelf life of your vitamin C serum and get the maximum benefits by its use. First, go for opaque bottles, amber bottles or blue coloured ones and keep away from transparent ones. Also, check the dates of expiry. Store the bottle away from the light, heat or humidity and do not forget to close it well after each use. Open the bottle only when you want to use the product and immediately close it after you have used the dropper. You can also keep it in the fridge. If you want a serum that is less unstable, you should go for a vitamin C derivative serum instead of an Ascorbic Acid serum. Finally, it may be a better idea to go for the smallest quantity of vitamin C serum, so that the product stays fresh and therefore effective. If you have sensitive skin, it is better to choose a vitamin C derivative serum rather than an Ascorbic Acid serum. Also, start by using a vitamin C serum with a lower percentage of vitamin C. See how your skin responds and gradually increase the amount of vitamin C or use the product more often. In the beginning, you can start by using it every other day. Retinol with Vitamin C: Although these two ingredients have strong anti-aging benefits, when they are combined, they both lose their power. Vitamin C with AHA or BHA Acids: Mixing Alpha or Beta Hydroxy Acids with vitamin C changes the pH of vitamin C and reduces its power. Also, since all of these ingredients are acidic, mixing them together can increase the chances of skin irritation. Vitamin C with Copper Peptides: Although both copper peptides and vitamin C are known to promote collagen and elastin production, copper peptides lose their power when they are mixed with vitamin C.
Niacinamide with Vitamin C: Although Niacinamide has anti-inflammatory and anti-aging properties, vitamin C loses all of its anti-aging power when mixed with Niacinamide. If you have sensitive skin, you should also check the rest of the ingredients that are included in a vitamin C serum because your skin may be reactive to some types of synthetic fillers and preservatives. So, if you have sensitive skin and you have tried a vitamin C serum that irritated your skin in some way, it is not sure that the amount of vitamin C or the form of vitamin C used in the specific product has caused the irritation but maybe one of the chemical ingredients contained in the product. To be sure that your skin stays free from irritation, you should always check the full list of the product ingredients and go for gentle serums that have no alcohol and no chemical ingredients if possible or a minimum amount of just one preservative. These ingredients apart from potentially irritating your skin, they add nothing to the serum´s benefits. Another way to prevent dryness after applying a vitamin C serum to your skin is to use an effective facial moisturizer, especially if your skin is dry. Finally, you should avoid vitamin C serum application after chemical peel treatments, dermabrasion or laser treatment. When looking for the best vitamin C serum, there are certain factors that you need to keep in mind in order to choose a product that will be effective for your case. Of course, we cannot be 100% sure that what works for one person will work for another exactly the same as everyone´s skin is different, but if you go for the criteria described below, you will be more likely to choose a vitamin C serum that is well formed and effective for the purpose you want to use it for. 1) Vitamin C Percentage: Here the rule is that the higher the percentage of vitamin C is, the better, especially if you want to deal with more tricky skin care issues such as acne, dark circles under eyes or discoloration. If you just want to brighten, replenish or smooth the skin, then a vitamin C serum that is regular strength should be fine. Experts say that vitamin C concentrations that are as low as 0.6% have some antioxidant and anti-aging benefits but if you want to get better anti-aging results and boost collagen creation, vitamin C of at least 10% is needed. A word of warning here, if you have sensitive or dry skin, it is better to start with a lower percentage of vitamin C and go for a higher percentage once you see that your skin is reacting well to vitamin C function. 2) Vitamin C Form: The most active form of vitamin C is L-Ascorbic Acid, so if you want maximum results, this is the most effective form to go for. The disadvantage is that it can be irritating to sensitive and dry skin. Also, it oxidizes faster than other forms of vitamin C, so it is up to you to decide. If you are not sure about how your skin will react to vitamin C, it is better to start with a derivative form of Vitamin C such as the ones we described in a previous section of this article. 3) PH Level: Ascorbic Acid is a very unstable form of vitamin C, so if is at high pH levels, it oxidizes a lot more quickly and becomes ineffective. Therefore, the lower the pH level, the more effective, stable and penetrating this ingredient is. More specifically, for maximum efficacy, the pH levels should be less than 3.5. All in all, high concentrations of ascorbic acid and low pH levels make a very effective combination. 4) Other Active Ingredients: Often times, the combination of one antioxidant with other effective ingredients makes the formula of a serum more powerful and beneficial, and vitamin C serums are no exception. For example, vitamin C together with vitamin E makes a more effective antioxidant combination than each of these vitamins separately. Also, in those cases that vitamin E becomes ineffective when eradicating free radicals, vitamin C is there to recover the antioxidant power of vitamin E.
Some other skin beneficial ingredients to look for in a vitamin C serum are hyaluronic acid, ferulic acid, green tea and more. 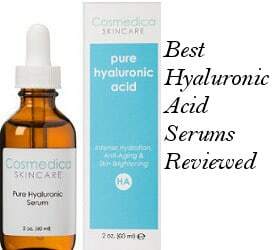 5) Skin Type: If you have normal or oily skin, you can try an ascorbic acid serum to see how it suits your skin but if you have sensitive skin including dry skin and rosacea skin, it is better to go for a vitamin C derivative serum because ascorbic acid can irritate sensitive skin and cause dryness. 6) Skin Issue Or Condition: If you are looking for a vitamin C serum to deal with more tricky skin conditions such as acne scars, oily skin or age spots, you should go for a higher percentage of vitamin C in your serum. But if you want your serum to make your skin smoother and brighter, even a lower percentage of vitamin C would be enough. Therefore, the vitamin C serum that you choose needs to be suitable for the skin condition or issue you want to deal with. 7) Reputation of the Brand: Among so many vitamin C serum brands on Amazon and other e commerce sites today, there are always going to be some that will sell scams and useless serums. So, always check the reputation of a brand, how many years it has been around, their history in creating good quality beneficial skin care products as well as their customer service. 8) Packaging: As we have already seen, ascorbic acid is a very unstable vitamin and vulnerable to the air, light and heat. But it is not only the pure form of vitamin C that is unstable, its derivative forms do oxidize as well but just not as fast as Ascorbic Acid. So, choosing amber glass bottle or blue coloured ones and staying away from transparent bottles is the best solution to a better protected from oxidation vitamin C serum. 9) Pricing: Pricing of vitamin C serums varies greatly from very cheap to very expensive ones. So, while you may not want to spend a fortune on a bottle of vitamin C serum, you may also not want to go for a very cheap vitamin C serum that costs less than $15. Actually, you can find a decent vitamin C serum for just $16, so finding a vitamin C serum with an affordable price is not difficult. If you like a more expensive product, look for the reasons that justify the extra cost because a lot of serums are just more expensive because the brand name of these products has been more prestigious over the years and not because their serum outweighs other similar serums by far. In conclusion, digging deeper into vitamin C serum for face reviews can provide you with the best options in dealing with a number of skin deteriorating factors and can help you get a healthier and younger looking skin. Vitamin C is an antioxidant that is proven to boost collagen, and facial serums with vitamin C are very popular today for anti aging and other skin rejuvenating purposes.